I recently heard from a Society Ambassador who shared a very cool success story with me. The success was a direct result of one of the fundamental principles I teach in The Society. It’s something I’ve never shared publicly before. But it’s such an important concept, and has fueled so many successes in the program (and saved so many asses), that I want to pass it on to you. Hopefully, for some of you here in the Inner Circle, this will be landing at the right time in your lives. 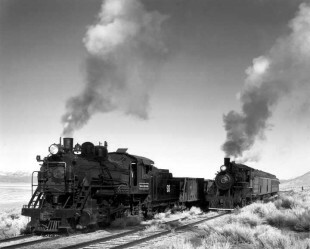 If that is you, read on and let me tell you about…the Two Trains Theory. Think of what you really want to do—or what you want to do next—as another train. Right now, you’re standing on a moving train—your current job. Get that train moving faster and faster, and find out if you even like being on it. If you do, you’ll find that your energy will automatically redirect to fueling the engine of that other train. Pretty soon, it will be rolling and picking up speed. And one day, you will realize it is going almost as fast as your current train, if not faster. And that’s when you just take the simple step from your current train to your new train—with no waiting at the platform, no fear of having to go backward. You may have to straddle the two trains, with one leg on each for a little, but that’s a quality problem, to be so in demand.